Our guest speaker for the Annual Community Service Clubs of Belleville was Stu Preston. Stu had served with the Canadian Armed Forces for 35 years in Radar Services working at 414 Squadron, 8th wing, postings in Germany and was the Chief Warrant Officer at CFB Trenton. When he was a young boy, his father bought home a model airplane that they were going to build. But before they could start building the model, Stu had to research everything he could about the history of the plane. This started his appreciation for the Lancaster and the history associated with it. After his retirement from active duty, Stu was approached to be involved with the National Air Force Museum of Canada (NAFMC) . In November of 2016 the museum acquired the Lancaster KB 882. It was launched in November 3, 1944 and flew 11 combat flights over Germany. After the war the place was assigned to 428 Squadron. The Lancaster had the largest payload of any plane and after the war they were modified with surveillance equipment to help map Canada's North, or re-purposed for Search & Rescue efforts. The last flight of this particular Lancaster was July 14, 1964 as the engines were too expensive to maintain. 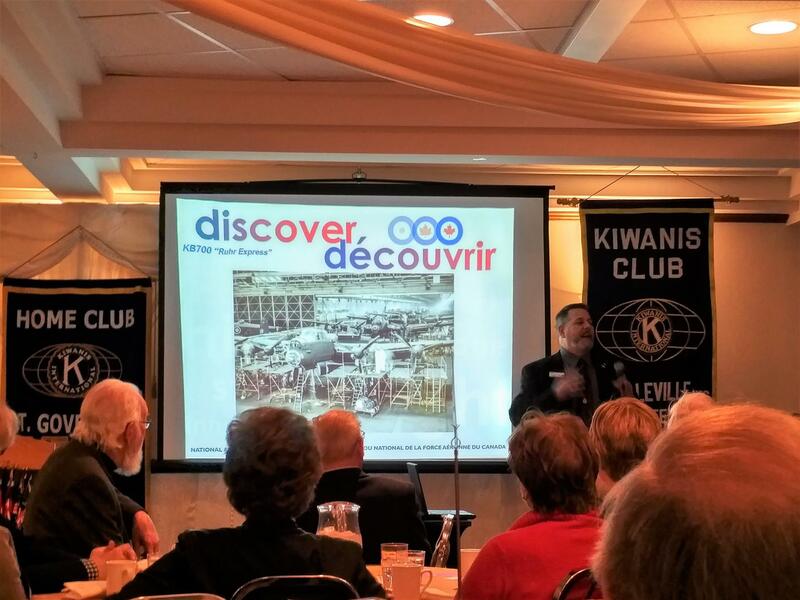 Since that period of time, the plane served as a landmark in Edmundston, New Brunswick. During that time the plane was exposed to the elements and was from time to time looted. When the announcement was made the museum was acquiring the KB 882, it was determined that it will be fully restored to its Area Reconnaissance (AR) configuration. Along with the Halifax Mk. VII bomber will be unique in the world as the only museum having both in a fully restored condition. The Lancaster KB 882 will be restored and displayed at the National Air Force Museum of Canada (NAFMC) celebrating the 100th anniversary of the RCAF on the 1st of April, 2024. It is estimated that the total cost for this project including the restoration and new building to be $10M. 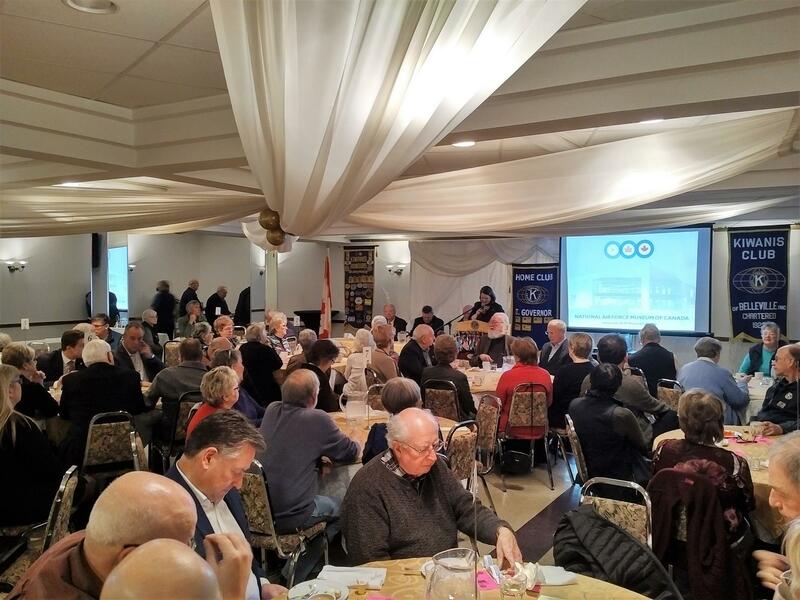 Doug Peterson expressed the appreciation of those in attendance and the Kiwanis also added that proceeds form the luncheon would be contributed to the restoration efforts.